Having just made the switch to OSX, I was clueless about how to trigger GMVault to make a quick daily backup of my GMail account. Fast forward a few google searches and I’ve got it working, but 100% the way I want it to work. In Windows, it would’ve been easy. Open Task Scheduler, find the executable you want to call, set the frequency of the task, and you’re done. Windows also provides logging for each task that you schedule, which is great. In OSX, you apparently have a few different ways of doing it, none which I found easy or intuitive. Automator was not helpful. GMVault is not a .app per se, so using the “Launch Application” option of a workflow wouldn’t let me select the GMVault binary. I gave up on that. I read that Launchd replaced Cron. But, Launchd appears to be XML based. I hate manually editing XML files, so Launchd is out of the question. Then there’s cron. Syntax seems fairly simple. I had trouble with Vim being the default editor for crontab. I hate Vim. So after a lot of googling, here are the steps I used. 2. echo “30 22 * * * path/to/gmvault sync -t quick myemail@gmail.com > ~/gmvault.log 2> ~/gmvault-error.log” >> mycron (this added this new cron job to the mycron file, which contained pre-existing tasks, if any). 4. crontab mycron (load the previously existing cron jobs, plus the new GMVault one). That’s it. The things I didn’t like about cron is that it doesn’t provide any job-specific logging by default. Not even when there were errors when executing the job. The other thing was that even though one logfile is for success and the other one for error (at least that’s what I got from the articles I read), running the crob job creates both files, regardless of if the job was run successfully or not. Other than that, the syntax is fairly simple. Another thing I did not like is that I have no easy way of knowing if a job executed a given day. I tried modifying the bash command to make the log filename be date-based, but haven’t been able to get it there. I’ve tried a couple of variations of the $date function but haven’t been able to get it working yet. Anyways. Hope this helps someone. 1. The size of the title of each window. 2. The font size in a Console or Git Bash window. Uhm, the screenshot looks huge on regular resolution. 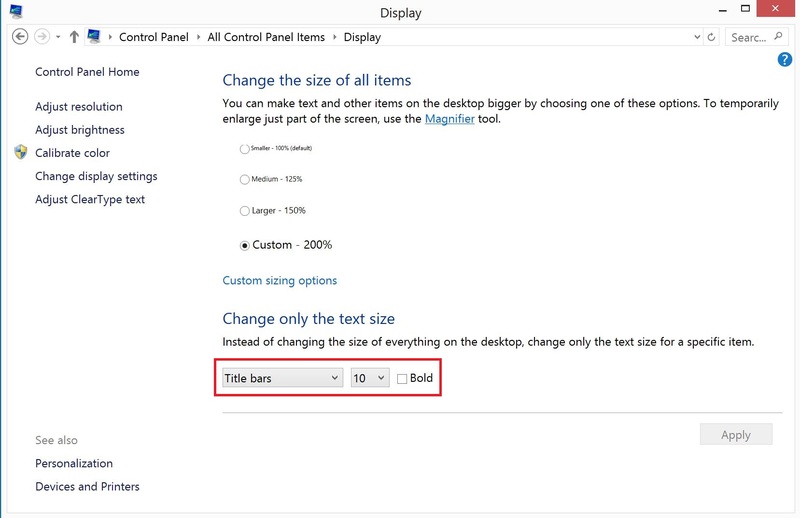 The thing is if you’re using the default resolution of 2880 x 1800, the font size of each window will look illegible. 3. Right click it, select Properties. 4. Go to the Font tab. 5. Make whatever changes suit you. 6. Hit Save. Windows will say you need to provide Administrative privileges to make that change. Click Continue. 3. Go to the Font tab. 4. Change the font size to whatever you want, click OK.
5. Close and re-open the Command window. Font looks good now. That’s one of the quirks I faced today, and hopefully it’ll save someone some Google time. Hope it helps.